Staffing jobs for the week of April 8–14 grew 0.4% to a rounded value of 94—the strongest reading since late January—according to the ASA Staffing Index. Staffing employment was 2.4% lower than the same week in 2018, at which time the index was at 96—a record high for the 15th week of the year. Although down from 2018, the index remains just above the average value seen for this week throughout the five preceding years (2013–17). ASA Staffing Index four-week moving average held at 93. Temporary and contract staffing employment was 1.8% lower than the same four-week period of 2018—a year-to-year slowdown that coincides with the decelerating economy. This week, containing the 12th, will be used in the April monthly employment situation report that will be issued by the U.S. Bureau of Labor Statistics on May 3. In the fourth quarter of 2018, average weekly staffing employment totaled 3.40 million, 2.0% higher than in the fourth quarter of 2017, and the most for any quarter since 2005. On a quarter-to-quarter basis, the average weekly number of temporary and contract staffing jobs increased 5.6% from the third quarter of 2018 to the fourth quarter. Staffing employment for the week of Feb. 11–17 was essentially unchanged (+0.02%) for the second consecutive week, remaining at a value of 93, according to the ASA Staffing Index. Some survey respondents cited winter storms as factors that hindered growth of staffing jobs. Temporary and contract staffing employment was 0.8% lower than the same week in 2018, which had been a record high for the seventh week of the year. The ASA Staffing Index four-week moving average decreased from 94 to 93. While staffing employment for the four weeks ending Feb. 17 contracted 0.9% year-to-year, the value of 93 remains well above the historical average (87) for the comparable period, indicating a healthy staffing labor market. This week, containing the 12th, will be used in the February monthly employment situation report that will be issued by the U.S. Bureau of Labor Statistics on March 8. The American Staffing Association is now accepting submissions for its prestigious professional recognition programs—the ASA Care Awards, the ASA Elevate Awards, and the National Staffing Employee of the Year. The deadline for all ASA award program submissions has been moved to earlier in the year: May 1. ASA Care Awards: Recognize ASA members-both staffing agencies and industry suppliers-that have made outstanding efforts in the area of social responsibility. Any initiative active at the time of submission is eligible, and there is no fee to enter. An online application and supporting materials that visually tell the story of the program’s success (e.g., videos, photos, infographics, websites, and media coverage) are required. The ASA Care Awards are now being held on a biennial basis. ASA Elevate Awards: Honor outstanding, innovative, and effective work-based learning programs that train, reskill, and upskill temporary and contract employees. An online application and supporting materials that visually highlight the program or initiative (e.g., videos, photos, infographics, websites, and media coverage) are required. An online application is required and there is no fee to enter. National Staffing Employee of the Year: Honors an individual who is an outstanding performer and exemplifies the promise of staffing employment. Finalists, called “All-Stars,” are also recognized-if merited-in five industry sectors: engineering, information technology, and scientific; health care; industrial; office?clerical and administrative; and professional?managerial. To qualify for nomination, the temporary or contract employee must have worked through an ASA member staffing agency sometime since May 1, 2018. An online application is required and there is no fee to enter. The ASA Genius Awards, recognizing the best and most innovative communications and marketing campaigns among ASA member staffing agencies, are now held on a biennial basis. ASA will host the next competition in 2020. ASA award honorees receive myriad marketing benefits to help differentiate themselves from the competition. Winners will be celebrated during Staffing World® 2019, Oct. 15–17 in Las Vegas, and featured in ASA publications, on the ASA website, and via national news media outreach and social media campaigns. Recipients can promote their accomplishments by using special award logos, template news releases, and more. To learn more about and apply for ASA award programs, visit americanstaffing.net/awards. Submission Deadline Is March 19. The American Staffing Association officially launched the call for presenters for Staffing World® 2019, the ASA annual convention and expo, Oct. 15–17 at the MGM Grand in Las Vegas. Experts in the staffing industry—including staffing technology specialists—and other applicable business specialties are encouraged to submit proposals to speak at convention educational sessions and in the Staffing World Tech Park for fast-paced, 10-minute presentations on technology topics important to the industry. The deadline for all Staffing World presentation proposals is March 19. In addition, ASA is accepting presentation proposals for 2019 webinars. Proposals are accepted throughout the year; however, a higher priority is given to those submitted earlier in the year. To submit a Staffing World workshop presentation or ASA webinar proposal, visit americanstaffing.net/presenters and complete a short online form. Individuals can enter up to three Staffing World workshop and webinar proposals for consideration. The form requires contact information, a professional biography, and information about the proposed convention session or webinar. Staffing World Tech Park online submissions must also include a short video in which the presenter “auditions” and introduces his or her topic. Only one video may be attached to each online form. Therefore, individuals interested in offering more than one Tech Park proposal must submit each in a separate form. 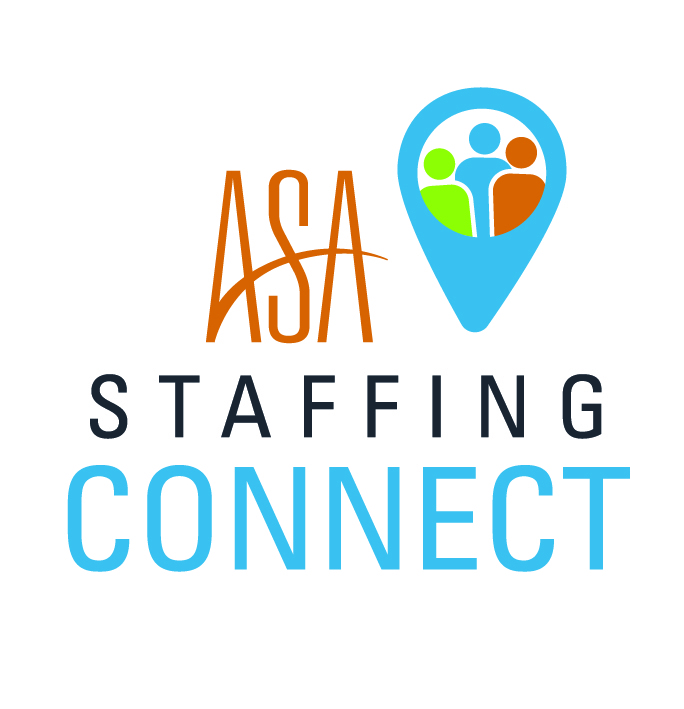 To learn more about ASA speaking opportunities and to review the full submission guidelines, including those for the Tech Park audition videos, visit americanstaffing.net/presenters. To learn more about Staffing World 2019, the largest and most comprehensive convention and expo in the staffing and recruiting industry, visit staffingworld.net. The American Staffing Association is proud to announce it is an inaugural signatory of the “Getting Talent Back to Work” pledge—part of an effort led by the Society for Human Resource Management to help provide employment opportunities to qualified people with criminal backgrounds. The pledge follows congressional passage of bipartisan criminal justice reform, the “First Step Act,” in December 2018. SHRM handpicked the group of initial trade association signatories—ASA, the National Restaurant Association, the National Retail Federation, and the U.S. Chamber of Commerce—because of the sheer number of people each association’s members employ. Each year in the U.S., more than 650,000 people re-enter society from prison. Too many are deprived of employment opportunities and, in turn, businesses are deprived of qualified workers. Research conducted by SHRM found that a majority of hiring managers believe workers with a criminal history are high-quality employees equal to or even more effective than those without a criminal history. To assist companies making the pledge, SHRM developed the Getting Talent Back to Work Tool Kit, designed to help businesses apply evidence-based best practices for hiring applicants with a criminal background, understand the legal factors involved, and get practical guidance from industry leaders on recruiting this diverse group of people. 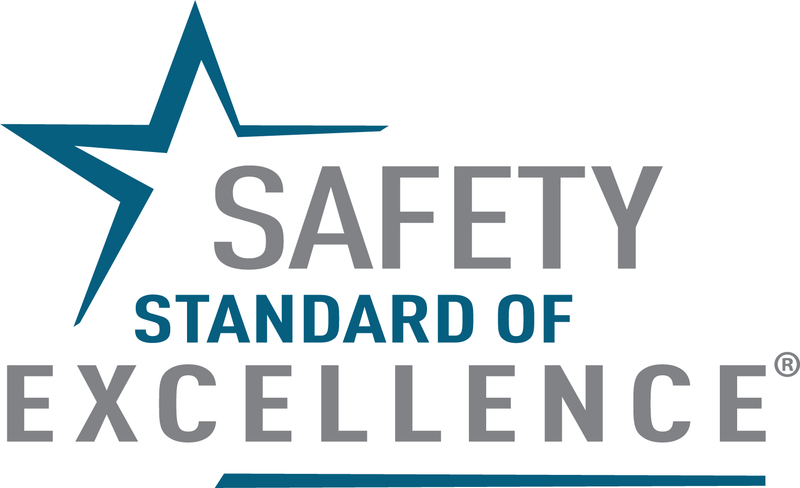 Automation Personnel Services Inc., a staffing agency headquartered in Birmingham, AL, has earned the Safety Standard of Excellence® mark from the American Staffing Association. The program, developed by ASA and the National Safety Council, promotes industry-wide safety best practices. For more information about Automation Personnel Services, visit apstemps.com. Automation Personnel Services Inc. was founded in 1990 in Birmingham, AL. It has grown to be the largest independently owned staffing company in the state with offices throughout much of the U.S. The company has specialized in providing light industrial employees to a variety of customers for almost three decades. Automation Personnel Services is your “one stop shop” for temporary employees, temp-to-hire associates, executive recruiting, outsourcing, and payroll services Additional information on Automation Personnel Services can be found by visiting apstemps.com.